The darling, dancing Flora from Flora and the Flamingo is back in another wordless picture book, and this time she's found two new friends: a pair of peacocks! But amidst the fanning feathers and mirrored movements, Flora realizes that the push and pull between three friends can be a delicate dance. Will this trio find a way to get back in step? 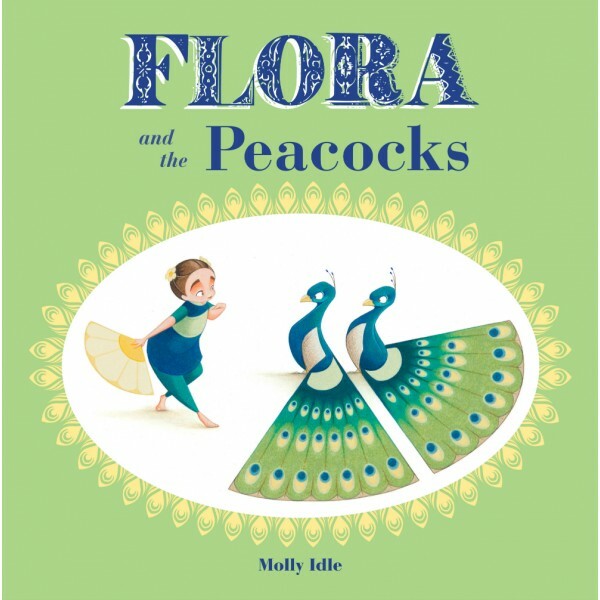 In the third book featuring Flora and her feathered friends, Molly Idle's gorgeous art combines with clever flaps to reveal that no matter the challenges, true friends will always find a way to dance, leap, and soar -- together.